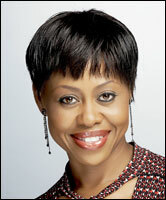 Redi Tlhabi was born in Orlando East, Soweto, in 1978. She studied Journalism and Communications at RAU and also has an honours degree in English Literature from the University of Johannesburg. She presents the Redi Tlhabi Show on Talk Radio 702. What does Botox do to your face? Can you stop a yawn with a finger? Why can't my cat catch my cold?